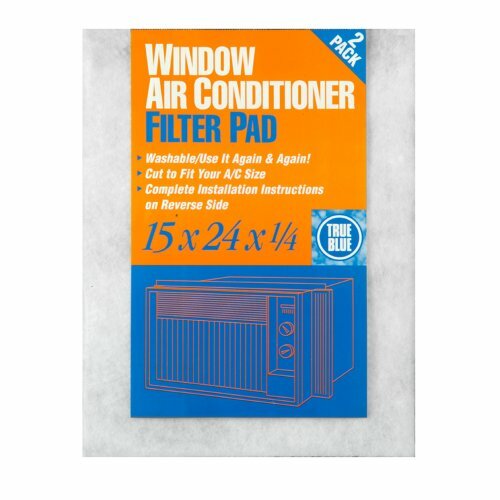 The True Blue Washable Window Air Conditioner Filter Pad is a frameless filter that can be simply cut with ordinary household scissors to your desired filter size. Made from synthetic fibers it filters airborne particles like dust and dirt. It is designed only to protect your air conditioner system. The filter lasts up to 1 year with monthly washings. Use it again and again. A clean filter will save you energy and money. The MERV Rating is 4 and it measures 15-inches by 24-inches by 1/4-inch.